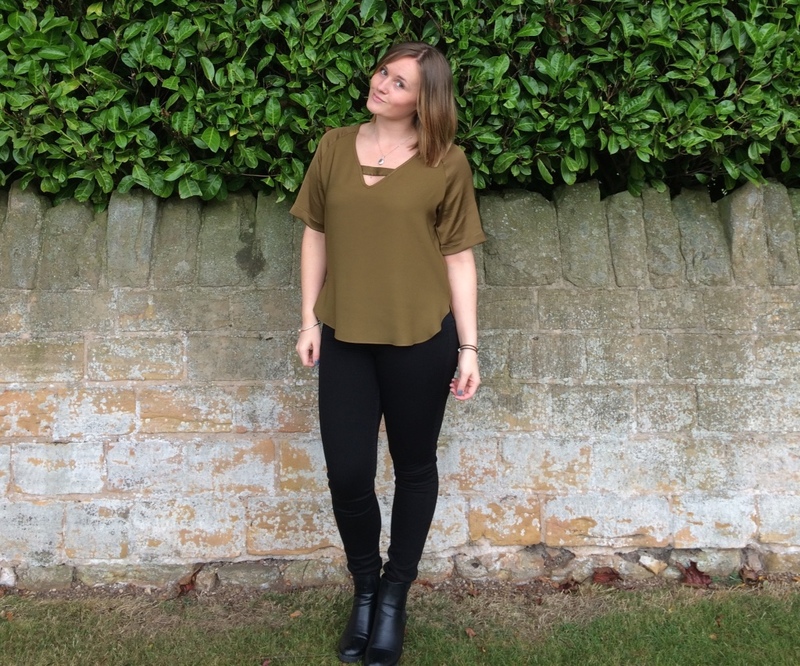 THE OLIVE TOP - Sincerely, Kimberly. Autumn has set in! Time to say goodbye to sundresses and hello to layers and boots. This time of year is great, the air is crisp and the trees are filled with burnt orange and red leaves. 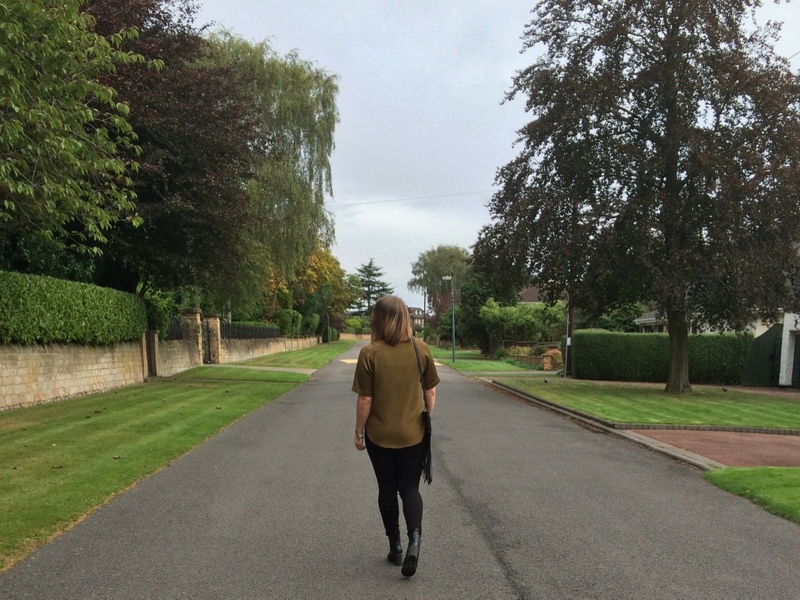 Although Summer is my favourite season I do enjoy snuggling up in my long sleeve jumpers and wearing autumn colours. 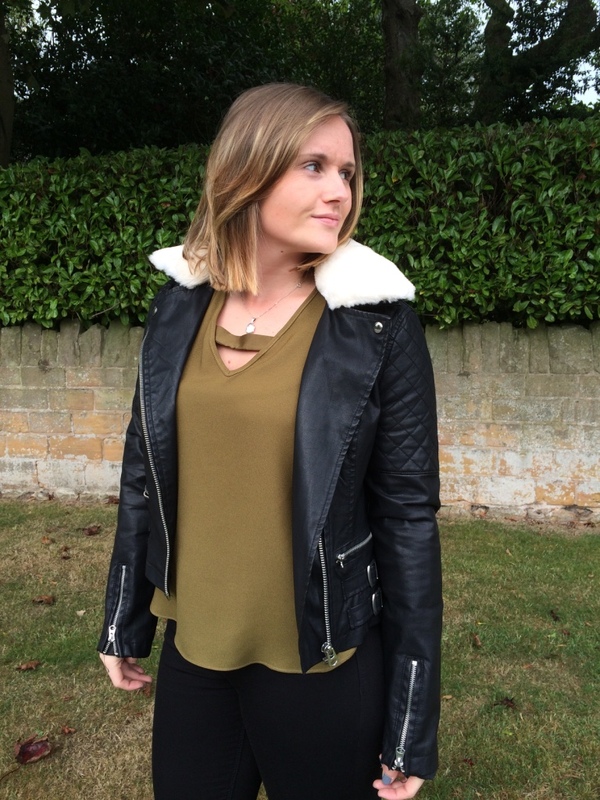 I recently went on a little shopping spree in River Island, they had 25% off (with a voucher from Elle) so I couldn’t resist buying something new. 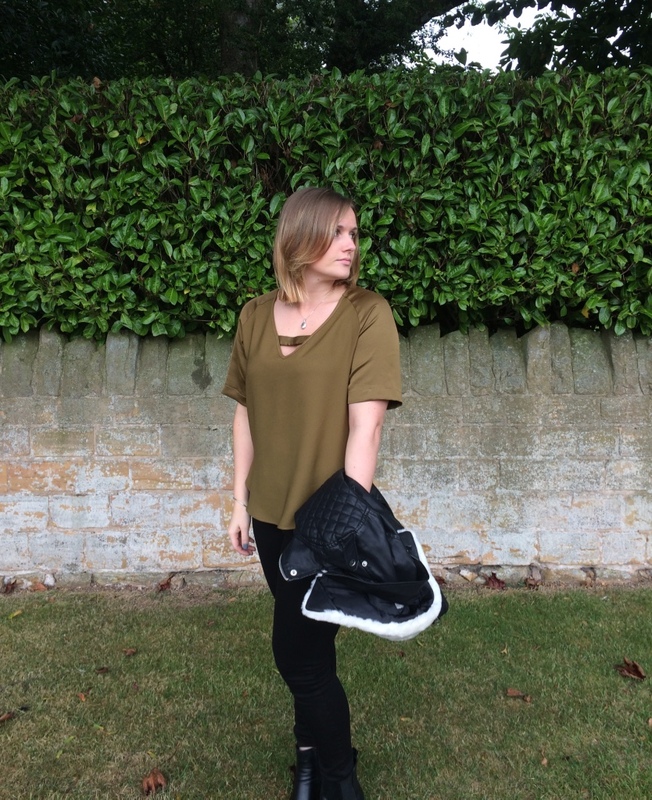 I brought this beautiful olive green top that looks great for work or a casual day and is the perfect addition to my autumn wardrobe. I also invested in some new Molly black jeans, a staple piece everyone needs in their wardrobe. These jeans are so comfortable and fit perfectly. 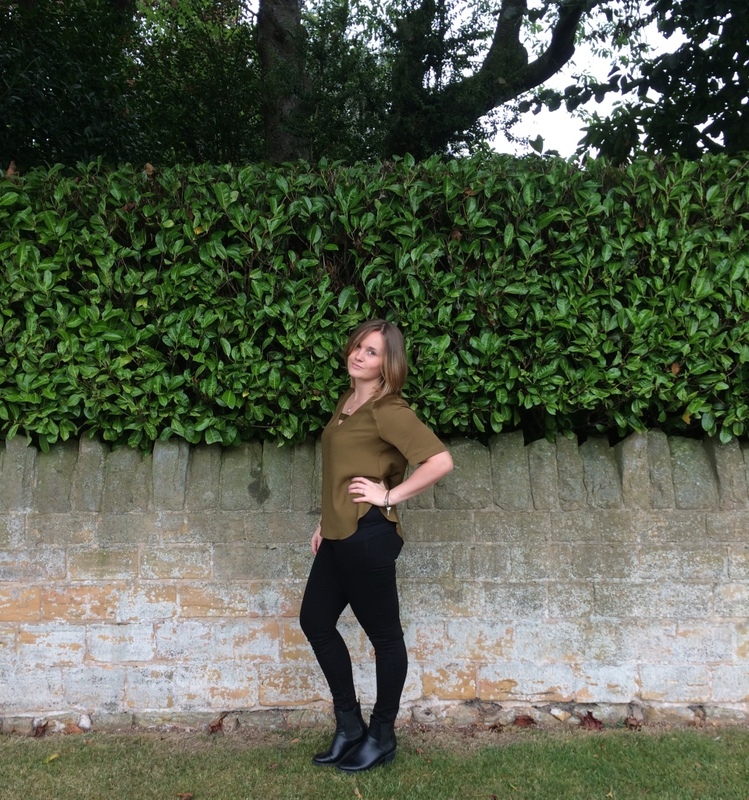 The boots are an old piece from my sisters wardrobe, I don’t wear a lot of heeled boots I would normally be wearing my flat Chelsea boots but these are great for a change! 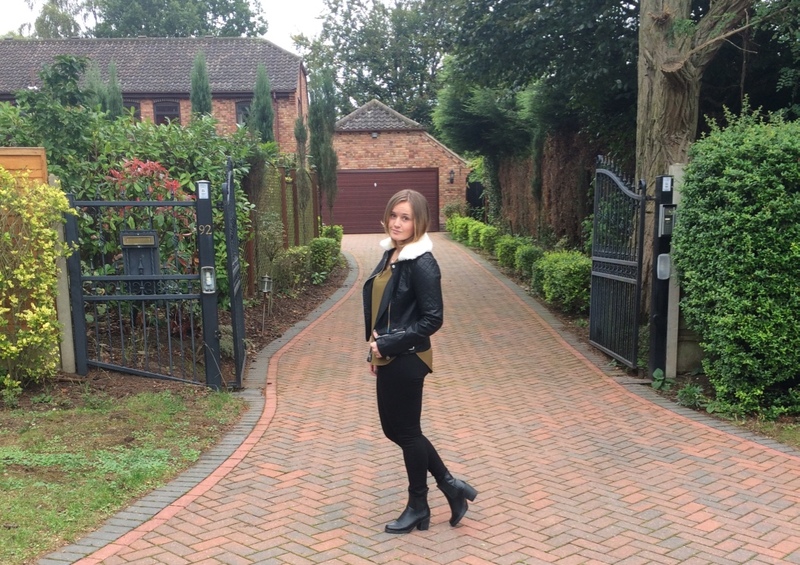 My leather jacket is Topshop purchase from the past, I brought this about 4 years ago and I always look forward to showing it off when autumn hits. 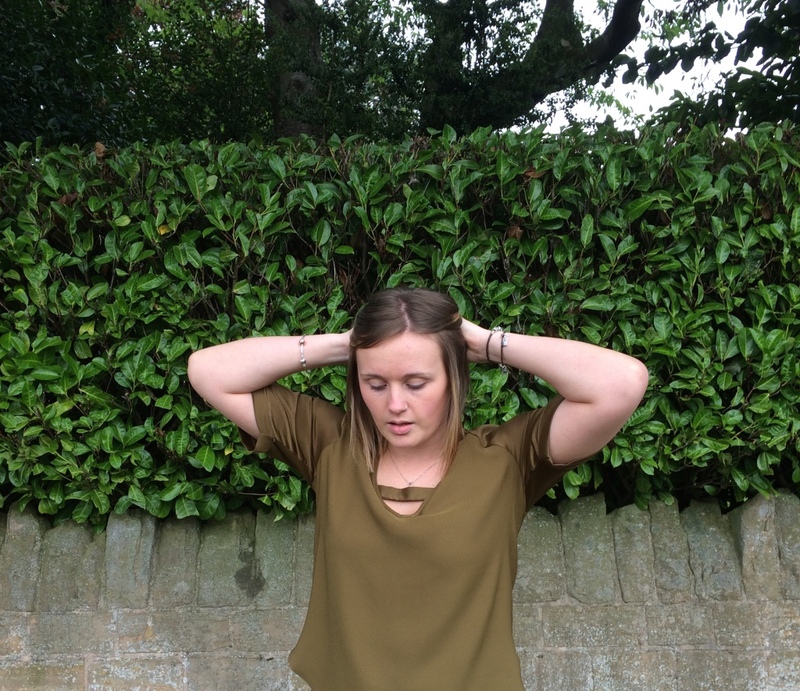 I love greens for autumn, especially khaki and olive!